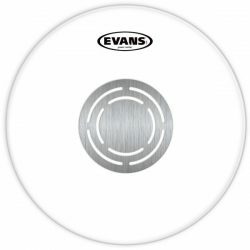 At 14mil, the Evans G14 Clear is a very thick and durable 1-ply drumhead. The G14 Clear has a bright projecting attack, and a nice amount of sensitivity and responsiveness. This is a very versatile head, perfect for both softer and louder environments. The Evans G14 Cler is made with a single ply of clear 14mil film. 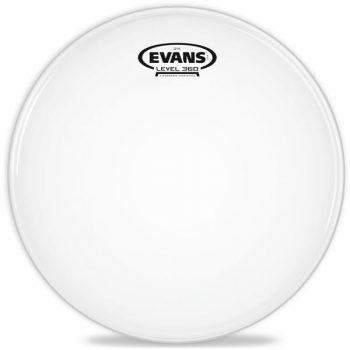 As far as single-ply drumheads go, the Evans G14 is one of the thickest available. 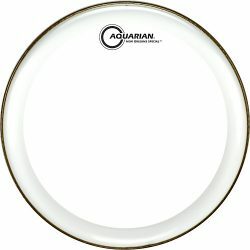 This head is well balanced, with a slightly warm sound and a nice amount of sustain. The thick clear single ply provides a good attack, as well as extra durability. 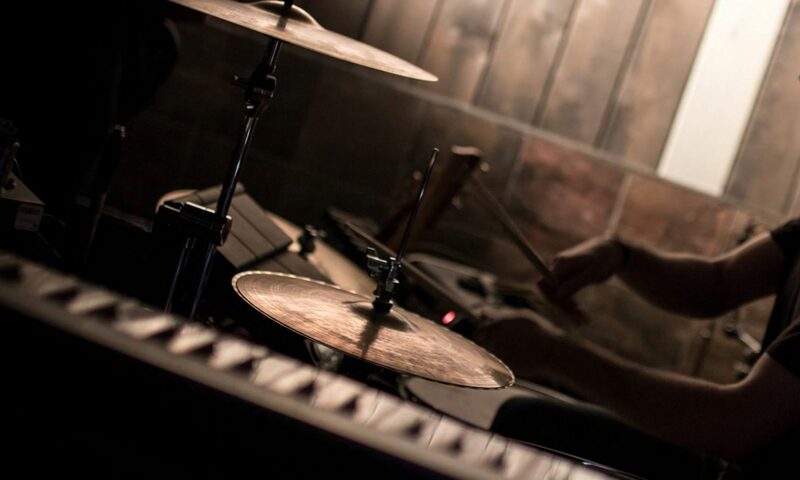 The Evans G14 Clear is playable across a wide range of music styles, and at most volume levels. The thicker design and clear ply creates a bigger attack which is perfect for medium and higher volumes of music. This drumhead is also sensitive enough for lower volumes due to the 1-ply construction, with lighter touches coming through fairly well. This makes the Evans G14 Clear a great choice if you need a versatile drumhead that is usable across a range of drumming styles. Sound-wise, the Evans G14 Clear has a balanced tone that leans slightly on the warmer side. The Clear Evans G14 is slightly brighter sounding than the Evans G14 Coated, with a more cutting attack. Compared to thinner single-ply drumheads, the G14 is slightly more controlled, but still keeps a fairly open sound. 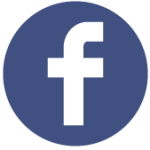 There is a balanced sounding moderate-length sustain, and a moderate amount of overtones to add colour to your drum sound. The open sound of the Evans G14 Clear gives it another tick in the versatility department… Leave this head open for a fuller and more colourful sustain, or add some dampening to control things. If you’re looking for a slightly warmer and more durable 1-ply drumhead, the Evans G14 Clear is for you. Play louder, while still keep an open and resonant sound. 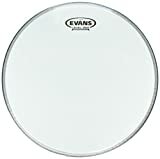 The Evans G14 Clear is a great middle ground between the responsiveness and character of thinner drumheads, and the projection and durability of thicker heads. Tip: If you play with brushes, the clear surface of the Evans G14 Clear will not respond well. If you need a brush-friendly drumhead, take a look at the slightly warmer sounding Evans G14 Coated.